Updated home features more than 400' of waterfront. Very private, kayakers paradise. Abundant wildlife, garden spot, numerous dependencies, large 32x12 sunroom, guesthouse features 1 bedroom and living room, kitchen and bath. 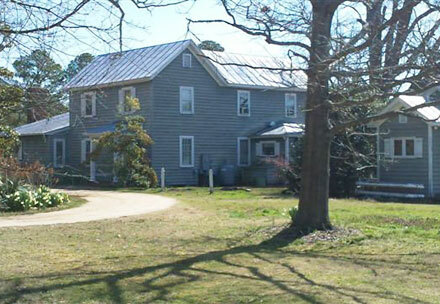 Oak floors in main home, deep well, newer 4 BR septic, wonderful large den with fireplace. Home has cypress siding shipped from Georgia, shutters are made of fir. Insulated workshop/studio, large storage barn has electric. Call for appointment to show.